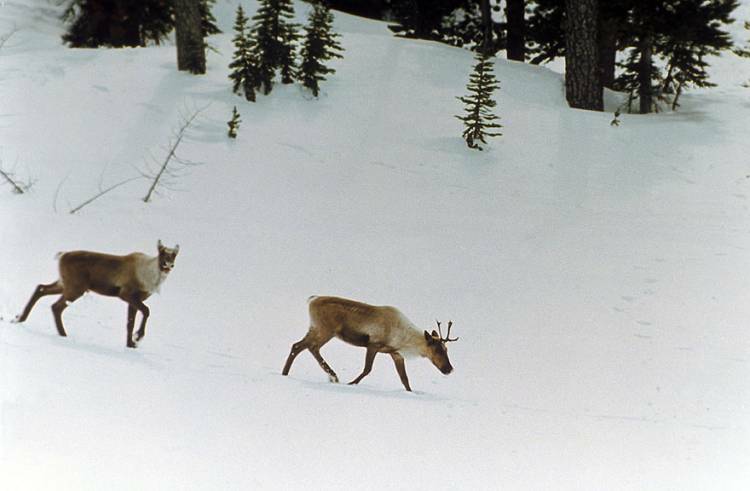 Canada & BC reach historic agreement to protect mountain caribou—but will it be enough? The governments of Canada and British Columbia last week announced an agreement to protect threatened mountain caribou in part of the province. This historic agreement between the federal and provincial governments is the first ever agreement reached under Section 11 of Canada’s Species at Risk Act. The agreement, which covers the Central Group herds located in the Northern Rockies and Peace area, will be a template for future agreements to protect the other groups of mountain caribou herds, including the southern herds in the Kootenays and Columbia region. British Columbia’s Mountain Caribou Recovery Implementation Plan, now ten years old, hasn’t stopped the mountain caribou decline. Habitat protections under that plan have not been effective in protecting, let alone recovering, mountain caribou. “There were more than 2500 caribou in our southern area in the mid 90s. Those herds are down to roughly 1300 caribou today,” says Bergenske. Wildsight will be looking closely at the draft federal and provincial agreement for the Central Group, which will be released next week, to make sure that habitat protections and recovery measures are strong enough to give our mountain caribou a chance to recover. Bergenske is glad to see the new commitment from both governments, including the strong emphasis on cooperation with Indigenous peoples. However, Wildsight is skeptical that the governments will be willing to take the strong action that is needed to protect mountain caribou. Without strong habitat protections, mountain caribou populations are expected to continue to decline, with many herds likely to be lost in the coming years. Mountain caribou make their home in the inland temperate rainforest ecosystem, the only rainforest in the world found far from an ocean, which continues to be threatened by loss of old growth forests. Now, you have a chance to send a comment to our governments, telling them the Section 11 mountain caribou agreement must be stronger.